Welcome! 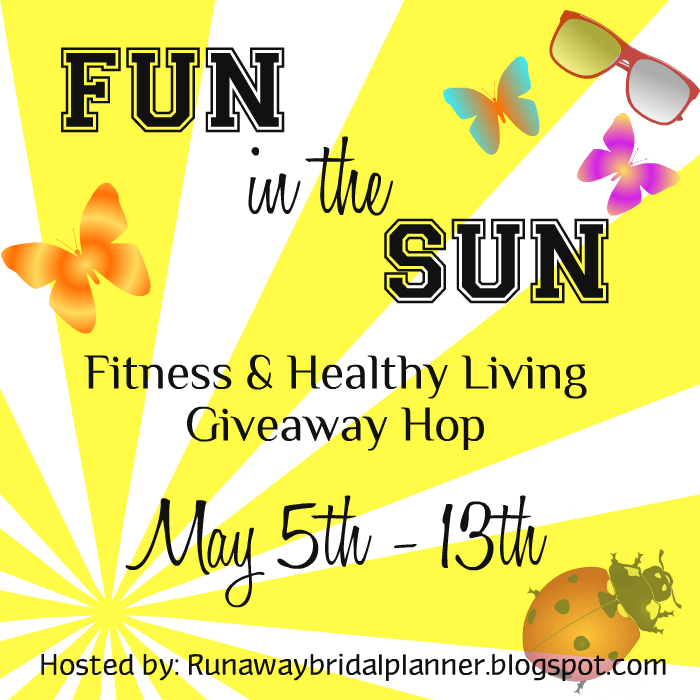 If you're stopping by my blog today, you are on the first stop to entering several fun Fitness & Healthy Living giveaways. I really enjoy hosting these giveaway hops, there are always so many amazing bloggers participating with us! So as you have time between now and May 13th, visit as many of the blogs below and enter their giveaways, for lots and lots of chances to win. Okay, so now down to what you stopped by for today. The sun is out, and the temperatures are beginning their rise into the summer. I love the outdoors, I love being active. I am looking forward to those hiking months and summer nights camping. I'm especially loving that I am running again, and enjoying the ability to become more and more active in the sport. I'm sure you all have things you love doing outdoors this time of year. 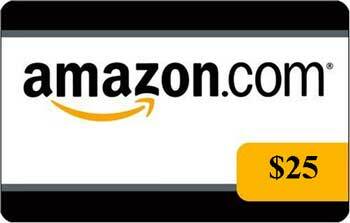 Maybe there is something on your current wish list that an Amazon gift card could help you get. Or maybe you're leading an active lifestyle and you've heard about The Original Worm and would love it to help work out some of your kinks and muscles after a workout. Whatever, your in the need for. I may have just the item you have been wanting to win. Or if a gift card isn't something you'd like. Maybe you'd love to try The Original Worm. I know I would, yup I don't even have one of my own. I've just been hearing lots of awesome things about it from other athletes and bloggers. Which is why one lucky winner can choose either the gift card or The Worm. The winner will be selected no later than May 16th and posted on this blog and notified via email provided. Giveaway runs between May 5th through midnight on May 13th, 2016. You must be 18 or older to enter, and have a valid email address. Winner has 48 hours to respond, if no response winner forfeits winnings and another winner may be chosen. Winner will be asked when notified which prize they choose. Gift card will be emailed to winner. If winner chooses The Worm, they must provide a shipping address. Gift card is open Internationally. Winner if they choose The Original Worm, must have a US mailing address. FYI: If you see (INT) next to the blog name on the hop list below, theirs is open internationally. All others are US only. Remember, you can enter as many awesome giveaways as you have time for between now and May 13th. Feel free to share the all the giveaway's with your friends too! I'm most interested in hearing about eating healthy. Love my Worm!! Great product and company!! I love any type of running posts and also day in the life posts as well. I have wanted a Worm for a while now! Great giveaway! I really love day in the life posts, as well as any new products to help runners, like the worm. Thanks for posting this giveaway. I like your travel Tuesdays posts. Thanks for the FAB giveaway. I'm a huge fan of your travel posts and would love to see more of them. I like reading about new fitness products, so review and giveaway posts on this would be great. I always love reading your Thursday running-themed posts! The Tuesday travel ones always make me want to take a vacation :) I'd also like reading more of your book reviews since summer is a great time to fill a beach bag with books! Giveaways are always welcome. Anything fitness besides running is good too. I;m a huge fan of the giveaways. I love to see travel and fitness. My favorite type of blog posts are crafts posts or beauty tutorials. Giveaways are always nice, but I'd really like honest reviews on products you use. I like learning about new food or health items....books and movies too. Just honest reviews. I always love giveaways, but I like to read about running and travel! I always love seeing travel and day trip post! I'm a sucker for giveaway blog posts. I love travel posts and giveaways! I really enjoy travel posts, and of course giveaways! I love giveaway posts and anything to do with food. I want one of those worms! I love al the giveaway & blog hop posts! I really love product and book reviews!!! So nice to hear about new products and books that I might not have otherwise! I'm a runner that loves food and am always looking for healthy alternatives to fuel my body and curb cravings! I would love to see more posts about running and of course giveaways!! I love travel and recipe blog posts! I most love posts about giveaways, recipes, and home organization. I would love some yummy summer recipes! I enjoy most topics. I like giveaways, recipes,and book reviews the best. I love giveaways and recipes. I'd be most interested in hearing summer travel, food and giveaways. I'm a contest junkie so I most like giveaways like this one. I like reading about travel. I'm a swimmer, not a runner. I am most excited to see posts for giveaways for healthy foods & also recipes for easy family meals with REAL food! I like travel posts, recipes, & giveaways. I'd like some giveaways and travel posts. I am most interested in giveaways! Suddenly I am seeing this Worm product everywhere! I like giveaways and DIY's. I'm partial to running posts and travel. I love traveling, which is always something you tend to do more in the spring and summer. I am most interested in running, fitness, and giveaways. I like new product review posts and giveaways are nice too. I love giveaways but would also love to hear about all natural ecofriendly products. Hey Kristy! Our lovely hostess with the mostest!! Thanks for the fun giveaway hop!! They're the best!! I always like giveaways. I also enjoy product reviews. I love just reading about you and your thoughts! I'd love to hear more about your thoughts on travelling, such as recommendations of places you'd visited and loved or you would like to visit because summer is only a couple of weeks away and I still didn't find a vacation destination Thank you for the giveaway. I just started running, so I love reading any running posts (tips, race recaps, race bucket lists, etc). Anything for motivation to get out there and run! I would love to hear more about running.. I'm taking on the challenge of losing weight and taking on a more healthy lifestyle, so this definitely interests me. :) I love also reading about natural, eco friendly products. I always love your travel pics, so keep those coming! I love reading your product reviews. I love giveaways. This one in particular! I would love to see more product reviews on healthy snacks. I would like to see reviews on the Summer Movies coming out. I'd like some healthy summer refreshments and food ideas. A little fashion. Life events. I would like to see Travel and giveaway posts. I like to see more giveaways and reviews on your blog. I love this giveaway a lot.